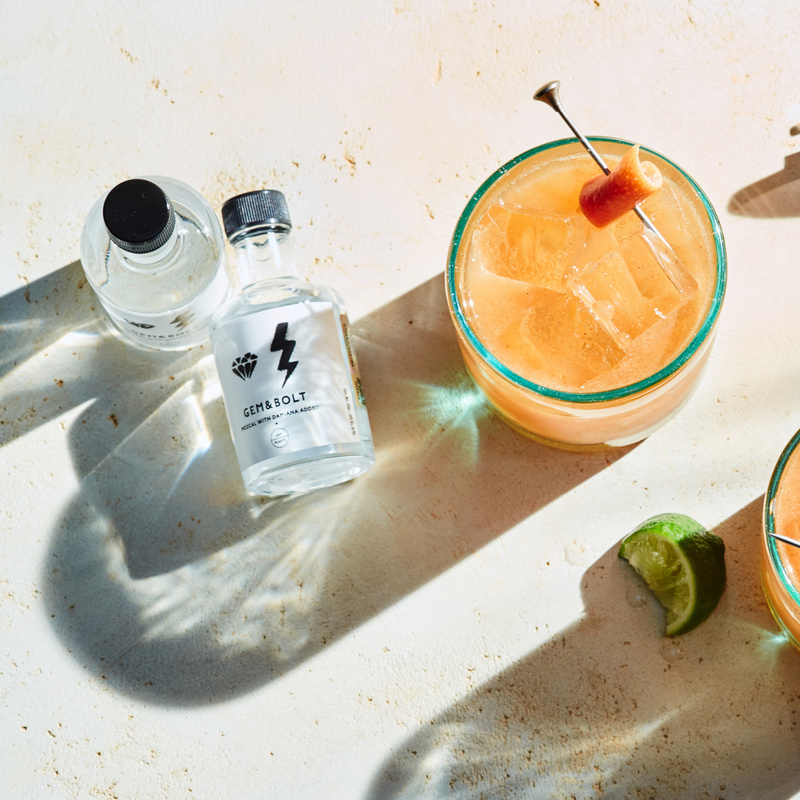 Featuring Gem & Bolt mezcal, produced in Oaxaca, Mexico, our smoky margarita is perfected with a splash of grapefruit juice and a dash of cinnamon. This flavorful recipe lets the mezcal shine through. Includes Gem & Bolt mezcal, honey, grapefruit juice, cinnamon, wooden stirrers and grapefruit crisp garnishes. Shipping included. *1-2 fresh lime needed (not included).